I was recently able to interview Nathan Magnuson, a friend and fellow blogger. Nathan recently released his first book on Amazon, Ignite Your Leadership Expertise. His insights into leadership and what you can do without a title are inspiring. I believe you will walk away with a greater insight into leadership and your role in the grand scheme of things. 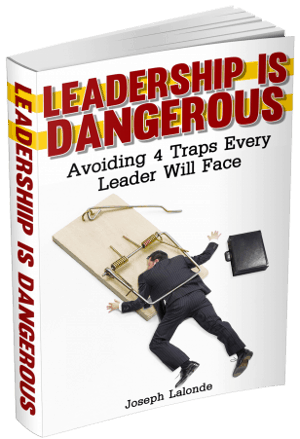 With so many books available on leadership, what does this one add to the mix? Most leadership books focus on how a person can be more effective as an individual or leader of a team. 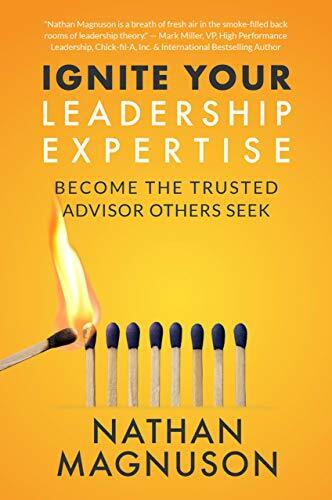 Ignite Your Leadership Expertise focuses on how to build an expertise in leadership while at the same time building trust with others so they seek your input. In other words, when the topic of leadership comes up, you have something meaningful to contribute and people keep coming back for more. When was your interest in leadership ignited? I didn’t think much about leadership as I was growing up. I assumed leaders all tended to be outgoing, charismatic and popular. It wasn’t until my senior year of college in my organizational leadership class that I realized leadership is actually about influence and creating positive change. That’s when it clicked for me that all of us can learn to lead – and I couldn’t wait to get started! How can someone be viewed as a leader when they don’t have a leadership title or manage a team? In today’s organizational environment, title means less than ever before. Leadership is an expectation for nearly everyone, with each person sometimes leading, sometimes following and sometimes supporting. Even the most junior person can make a contribution that makes something better for everyone. Whenever you take the opportunity to create positive change, that’s leadership. What are some of the ways you recommend for a person to grow their leadership expertise? There are so many ways! Become a great listener and invite others to talk about their leadership successes and challenges. Study what great leaders (and great thought leaders) do differently to achieve results. Pay double attention to the mistakes others make, so you don’t repeat them! Begin to test and then share your observations when the opportunity arises, even if it feels risky. How can we ignite others’ interest in leadership? In the book, I share an amazing quote by Samuel Johnson: “The applause of a single human being is of great significance.” I think the greatest opportunity is to simply tell others they have the potential not just to be a great leader, but a leadership expert as well. In my experience, even successful people can have a hard time seeing themselves as effective leaders. Whether you share this book with them or not, your applause goes a long way. If readers only take one thing away from the book, what should it be? My favorite quote from the book is this: “You’re never too unqualified to set a good example.” In other words, you don’t ever need permission to do what you know is right. At the end of the day, that’s what leadership is all about. A good leadership example trumps expertise every time. Nathan Magnuson is a corporate leadership development consultant, communicator, and author. Ignite Your Leadership Expertise is his first commercial publication. Visit Nathan on his website NathanMagnuson.com or on Twitter.